First things first – understand what caused you to foreclose your house? What could you have done to prevent it? Did you manage your payments well? Answering these questions can help you avoid the mistakes you made in the event of foreclosure. You may think that your financial troubles are over, but in fact they have just begun. You need a house to stay in, pay back your credit card bills and so on. Make a budget. It is not as hard as you may think. It can help you map your spending decisions and adjustments. Since your credit was damaged, you need to pay your credit bills on time. This will reflect positively on your credit score. When a creditor will see that mortgage was the only item hurting your score, he/she can be more lenient with you when you apply for credit. If the mortgage payment was high, you will have to reduce your credit balance to a minimum of 30% of your credit limit. For instance if your credit limit is $3000 then you need to have a balance of $300. This will decrease your debt-to-income ratio repairing some of your post-foreclosure credit. Credit damage after a short sale is less drastic than after a foreclosure. Therefore, repairing credit after a short sale is a little easier although it does not happen in the blink of an eye. Your credit score may take a hit of 100 or 200 points whereas in a foreclosure it can be 300 or above. There are many ways to go about repairing your credit after a short sale. Continue reading to see how. The first thing to remember is that a short sale can only be removed by a creditor from your credit report. 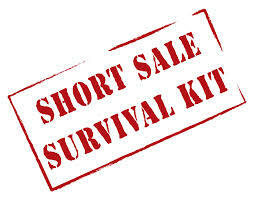 A short sale will appear on your report for a maximum of seven years unless your creditor removes it earlier. Negotiating with your creditor is the first step in trying to repair your credit. This can be done when you have used your credit for good purposes and are reflected in your score. As soon as you sell your house, take out small credit loans and pay on time. Although you may not be offered optimal rates, each repayment repairs your credit after a short sale. Over a few years, these little points will add up and balance out with your short sale credit bringing your score in the positive zone again. Repairing a credit score after a foreclosure or a short sale is not easy. You have to hard for years repairing the damage. The best option is to pay your mortgage on time to avoid a foreclosure or a short sale in the first place.